Good Friday by Lynda La Plante is published in paperback by Bonnier Zaffre on 22 March 2018, my thanks to the publisher who sent my copy for review. I have a paperback copy of Good Friday to giveaway. Entry is simple, just fill out the competition widget at the end of this review. The competition will stay open for seven days. UK ENTRIES ONLY. Good Luck! So, now I have to hold up my hands and admit that I've not read a book by Lynda La Plante before. I know, where on earth have I been? What really attracted me to Good Friday was the era. This is a 'Jane Tennison' thriller; before 'Prime Suspect', and set in the 1970s when Jane is a rookie cop, just starting out in her police career. I figured that if I got to know something about the early years, then it would be easier for me to go on and read the Prime Suspect books. I read Good Friday whilst we were away on a cheeky overnight break in Durham at the weekend. I settled down by the pool in the spa whilst the bloke went and sweated it out in the sauna. Cocktail at hand, bedded down on a comfy lounger with a blanket, I dived in (to the book, not the pool!). I was engrossed immediately. Lynda La Plante flung me back to the 1970s with her incredibly atmospheric descriptions of both the characters and the setting. Jane Tennison is a detective; she's just joined the Dip Squad; a team of officers who deal with pick pockets on the busy streets of London. She really wants to join the Flying Squad, and knows that if she proves herself to her colleagues, she may be the first woman to get that chance. She's on her way to a court hearing when she gets caught up in a terrorist bombing at Covent Garden Tube Station. The IRA left a bomb in a rucksack and there are multiple fatalities. Jane is one of the only people who actually saw the bomber. The plot follows Jane as she and her colleagues try to find the culprit, and the sleeper gang who they are convinced are operating in the area. This is not just an everyday police procedural novel, this is also the story of Jane; her family and her friends. There's an innocence and vulnerability about Jane that surprised me in places. At times, I knew damn well that what she was saying, or doing was going to cause huge problems for her, and her team. However, Lynda La Plante does make Jane a likeable and utterly believable character, she has a good heart and I'm sure that her experiences are going to shape her future character. What really impressed me was the whole 1970s vibe. Those of us of a certain age will remember TV shoes such as the Sweeney and the Professionals; testosterone filled car chases; dubious dialogue, sexist remarks and lots of cigarettes and leather jackets. Good Friday is full of them. Those manly, police officers who really didn't think that the force was any place for a woman, yet were protective of Jane throughout. There are scenes that will make the woman of 2018 cringe, yet they are exactly right for the setting. 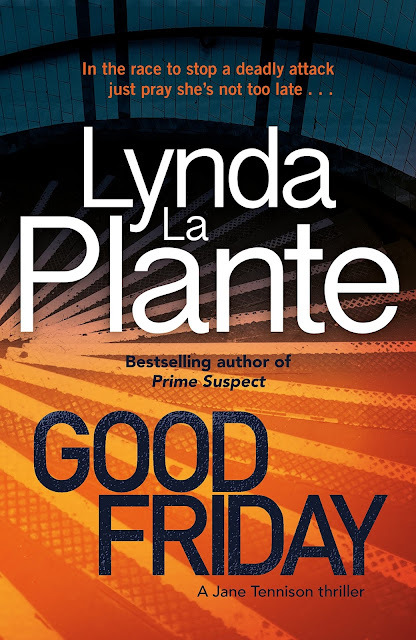 Good Friday has a fast-paced plot, if a tiny bit predictable in places, but it's great fun and so easy to read, and I will certainly be on the look out for more of Lynda La Plante's books. Perfect for a lazy day at the spa! 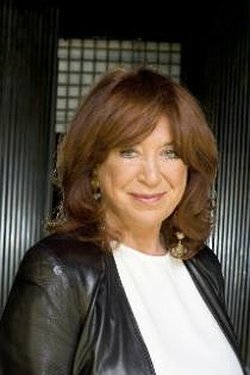 Lynda La Plante was born in Liverpool. She trained for the stage at RADA and worked with the National Theatre and RDC before becoming a television actress. She then turned to writing - and made her breakthrough with the phenomenally successful TV series WIDOWS. Her novels have all been international bestsellers. Her original script for the much-acclaimed PRIME SUSPECT won awards from BAFTA, Emmys, British Broadcasting and Royal Television Society as well as the 1993 Edgar Allan Poe Writer's Award. Based on Lynda's best selling series of Anna Travis novels, Above Suspicion, Silent Scream, Deadly Intent and Silent Scream have all adapted into TV scripts and received impressive viewing figures.